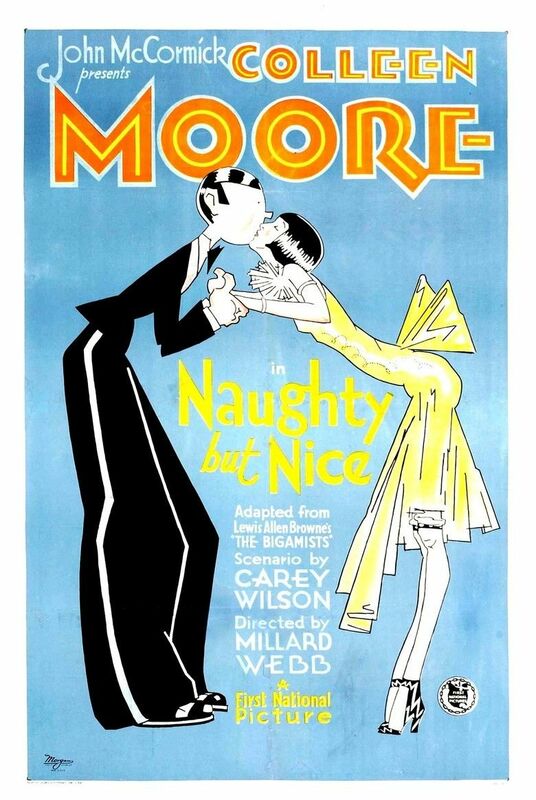 Posted on March 5, 2018 by Lea S.
One of the most famous quotes about the Jazz Age comes from F. Scott Fitzgerald himself–and no doubt you’ve heard of it: “I was the spark that lit up flaming youth, and Colleen Moore was the torch. What little things we are to have caused all that trouble.” But did you ever wonder where he wrote that quote? According to one scholar, it was inscribed by Fitzgerald himself in a miniature volume of This Side of Paradise for the tiny library of Ms. Moore’s famed, beautiful, $500,000 “fairy castle” dollhouse. And that not only gives you a little taste of the success and popularity of this spirited actress, but also of her girlish, whimsical nature that so appealed to countless audiences back in the silent days. The laughter from the audience both surprised and delighted her–this was much more satisfying than reciting stories to her tiny audiences at home. And thus began her dream of becoming an actress. Throughout her girlhood Kathleen’s passion for acting grew steadily and she and Cleeve frequently put on their own plays for the neighborhood children, using a piano packing crate as a stage. When she discovered movies Kathleen went to the theaters whenever she could and became a devoted reader of fan magazines. She began to imagine herself up on that screen that she watched so rapturously, or to picture her portrait gracing the cover of a magazine. Kathleen did a screen test at Chicago’s Essanay studios to ensure that her eyes photographed properly (she had one blue eye and one brown). The test deemed satisfactory, she and her mother and grandmother were soon on a train travelling cross-country to fabulous Hollywoodland itself. Kathleen rapturously read and re-read her six-month contract with Griffith’s Triangle-Fine Arts studio until her grandmother finally took it away from her. 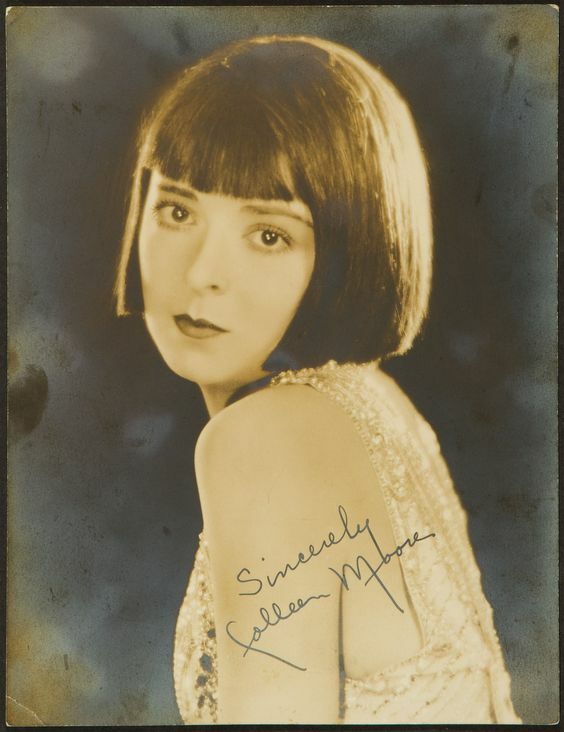 She left home as Kathleen Morrison, but in sunny, movie studio-dotted Hollywood she was Colleen Moore, a name her family had thought up for her. 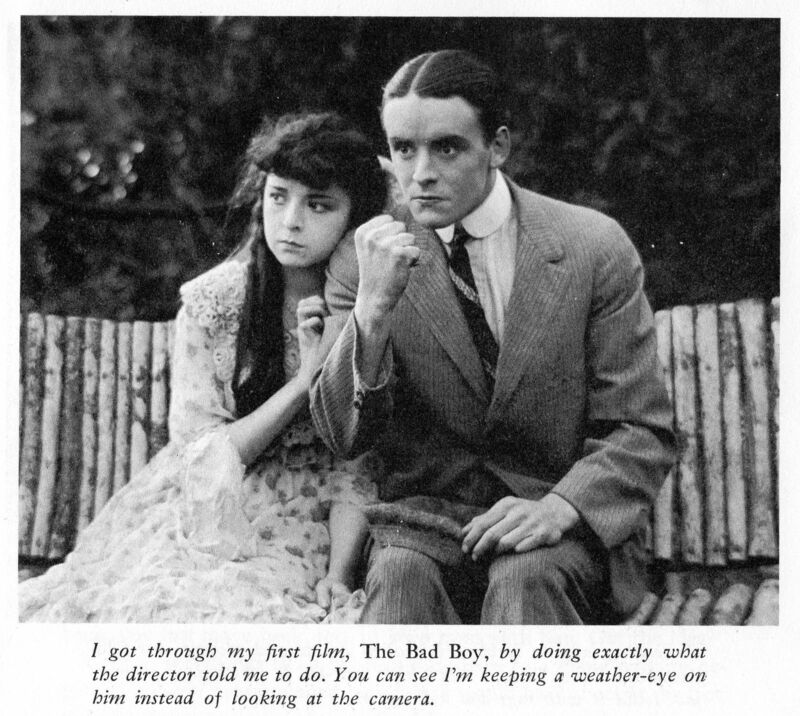 Her first role at Griffith’s studio was as the love interest of the talented Robert Harron in The Bad Boy (1917). She was then paired with him again in An Old Fashioned Young Man (1917). At first she was a bit nervous acting in front of a camera, but she studied the rushes and quickly learned how to improve. Although her contract was only for six months, hardworking, high-energy Colleen had no intention of returning home after it was up. From Colleen’s autobiography, Silent Star. I just wasn’t the accepted–and acceptable–model for a sweet young thing in the throes of her first love. The necessary curls I could manage, the same way Mary Pickford and the others did, with time and effort. But no amount of either could make my five-foot-five boyish figure into a curvy, petite five-foot-two or transform the sauciness of my freckled face with turned-up nose into the demure perfection of a Mary Pickford. She poised, bird-like, in thought. “Well, I don’t roll my tockies, I don’t swear–much, I do not smoke cigarettes or a pipe or anything. I don’t drink cocktails, and you know that mother won’t let me bob my hair, so I guess I don’t qualify. Why do you ask? 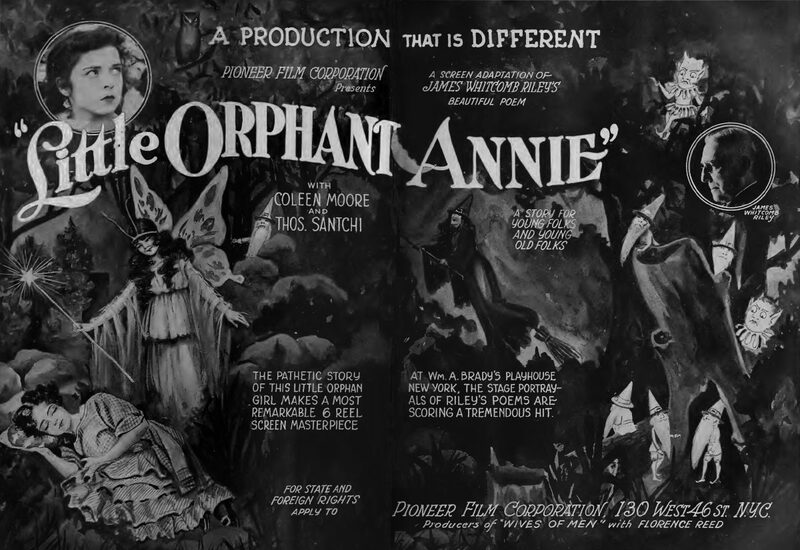 Ad for Little Orphant Annie (1918). With the success of Flaming Youth, flapper flicks were now officially big business. Colleen herself would oblige with light comedy films like The Perfect Flapper (1924), We Moderns (1925) and Why Be Good? (1929). Her spunky flappers tended to put on a show of being “modern” but were virtuous girls at heart. 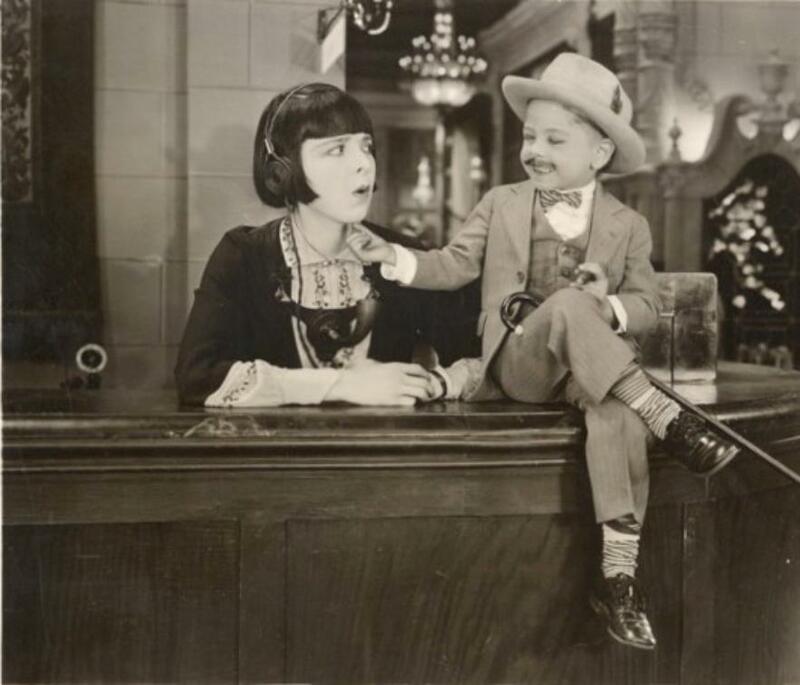 She also specialized in popular stories about working girls “making good,” such as Irene (1926) and Orchids and Ermine (1927)–the latter featuring a very early film appearance by 7-year-old Mickey Rooney! 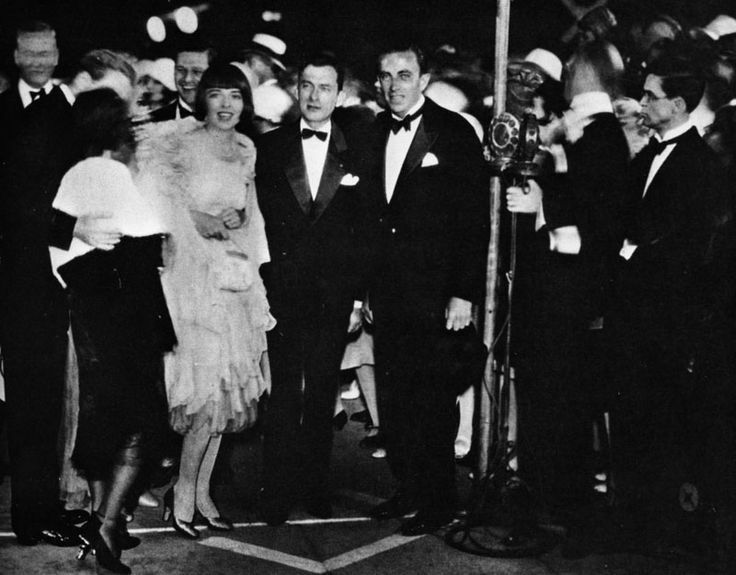 One of her biggest hits was Lilac Time (1928), which co-starred an up-and-coming actor named Gary Cooper. With a thriving screen career and a beautiful new home in Bel-Air, successful almost beyond her wildest girlhood dreams, Colleen had much to be proud of. Not all was perfect behind the scenes, unfortunately. Her husband John was an alcoholic who would go on regular drinking binges and occasionally cause drama with First National. She also suspected that he was more in love with the Colleen Moore of the screen than the woman herself. When talkies arrived, Colleen took a break from the screen–perhaps having in mind what she once told a interviewer for Motion Picture Magazine: “To stay [in film] too long is such a tragedy. You know, I often think that is what is so lovely about Marguerite Clarke. She left when she was at the top, on the crest. We keep on remembering her as always young and gay and lovely.” In 1930 she would divorce John, unable to take his drinking any longer. Slightly happier times at the premiere of Lilac Time. In 1932 she remarried, to a stockbroker named Albert P. Scott (which was fitting considering Colleen was wise with her money and invested much of it in the stock market). The marriage only lasted two years, and ended not long before Colleen’s retirement from the screen. She made only four talkies, including The Scarlet Letter (1934). None were big hits, so she apparently decided she’d “had a good run” in Hollywood and left it at that. A woman of many interests, she kept herself busy in retirement. 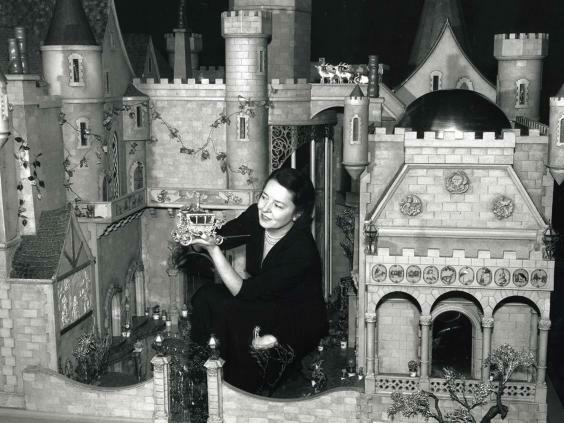 Her pet project, which she began in 1928 and kept adding to until her death, was her fabulous “Fairy Castle” dollhouse. As she was always passionate about dolls, she and her father had decided to design a huge, beautiful dollhouse to end all huge, beautiful dollhouses. It had nine square feet and was built and furnished by professional carpenters and interior designers. An intricate work of art, it featured thirteen fairytale-themed rooms complete with gorgeous miniature furniture, hand-painted murals and teeny paintings, and even a tiny library with miniature books signed by famous writers of the day. No expense was spared–real gold, diamonds, and other trimmings were used to make it as beautiful as possible. Today, Colleen’s dollhouse has its own exhibit in Chicago’s Museum of Science and Industry, and is seen by 1.5 millions visitors a year. In 1937, Colleen married widower Homer Hargrave, helping to raise his two children (she sadly never had any of her own). 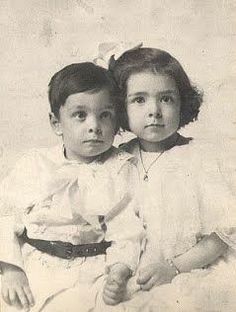 They were content together until his death in 1964. 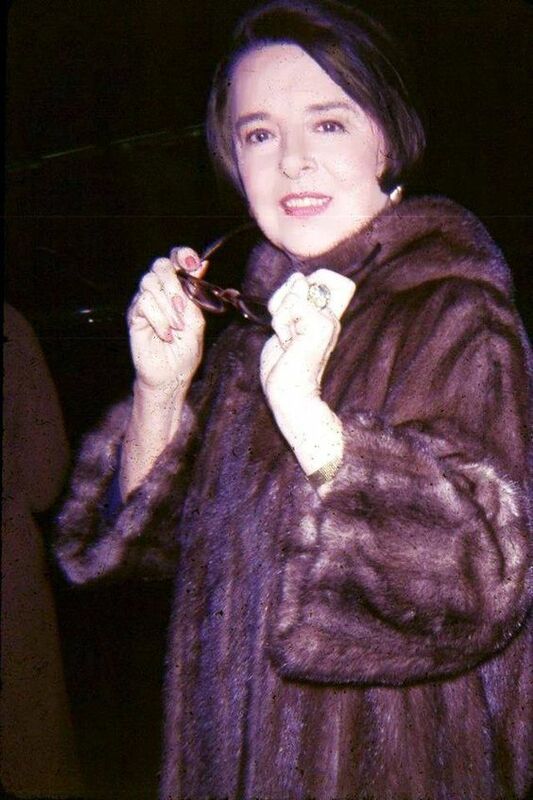 During the ’60s she also wrote two books–Silent Star, her autobiography, and How Women Can Make Money in the Stock Market–and formed a TV production company. She also took steps to preserve the silent films that had meant so much to her, although with unhappy results. She had initially sent her nitrate prints to the Museum of Modern Art in New York City to be properly preserved, but tragically, a they were misplaced by a custodian and left unprotected for many years. She would eventually learn, to her grief, that many of them had decomposed. Today, Colleen Moore has become somewhat overshadowed by other iconic flappers, such as Clara Bow and Louise Brooks. But she was the original Hollywood flapper, a megastar who is truly inspirational. For young Colleen once had a dream shared by countless other young woman during the 1910s–and through her own hard work, confidence, and enthusiasm, she achieved it. For more about Colleen, feel free to check out my reviews of Ella Cinders (1926), Synthetic Sin (1929) and Why Be Good? (1929)! Gassaway, Gordon. “With a Dash of Green.” Motion Picture Magazine, June 1922. Hall, Gladys and Fletcher, Adele Whitley. “We Interview Colleen Moore.” Motion Picture Magazine, February 1927. Fowler, Gene. “Colleen Moore, Star of ‘Flapper’ Films, Dies at 85.” New York Times, January 26, 1988. Codori, Jeff. Colleen Moore: A Biography of the Silent Film Star. Jefferson, North Carolina: McFarland, 2012. Massa, Steve. Slapstick Divas: The Women of Silent Comedy. Albany, Georgia: BearManor Media, 2017. Moore, Colleen. Silent Star. New York: Doubleday, 1968. 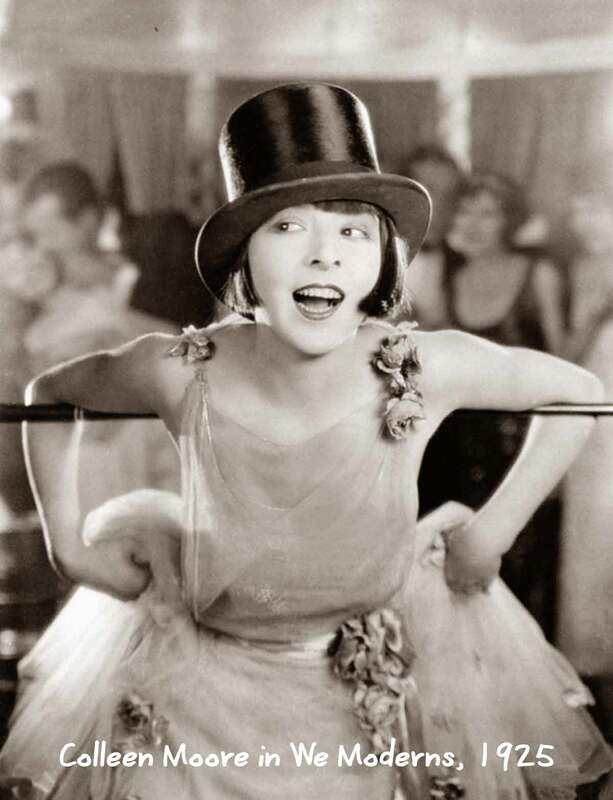 This entry was posted in Personalities and tagged 1920s, bobbed hair, Colleen Moore, Flaming Youth, flapper culture, flappers, Jazz Age, light comedy by Lea S.. Bookmark the permalink. It’s so tragic that Colleen Moore’s original nitrate films were not preserved properly. So, so sad! I realize that it’s close to almost 100 years since her films debuted to movie going audiences, but maybe somewhere there is a copy of the complete movie hidden away in an attic. It really is sad, especially since they meant so much to her! There’s always hope, of course, that a few copies are hidden away somewhere. I keep my fingers crossed! What always stands out to me about her is energy, and a sense that she really is having fun whatever she’s doing. I think that may be why she’s less iconic in these cynical times than Brooks or Garbo, who are more sultry and brooding. Wow! What a article and what a lady 😊 She did age well too. What a woman! I love her fairy castle…must go see it. Definitely seek out her films, there’s some on YouTube and others are available on DVD. I’m sure you’ll love them as much as I do! Colleen is charming and inspirational on so many levels; such a bright and creative woman. Thank you for this thoughtful article. You’re welcome, it was fun to research! Colleen’s one of silent era favorites. Beautifully done, Lea, I love Colleen Moore so much. Do you know that I live in NYC and I have been ANGRY at MOMA ever since I learned about what happened to her archives. I have actually boycotted MOMA ever since! There have been many silent screenings there, and I just know that I would get up during the Q&A and bring this very fact up to whomever was moderating!!! How could they do that to her? Fantastic work, yet again Lea. If you do go to a MoMA screening I’m tempted to come with you and see what happens. 😀 But yes, it really is a shame. If I ever do it….I’ll be sure to record it one of of these newfangled “smart” phones! I’ll also bring up Mary Pickford stipulating that she did NOT want them to charge money to screen the films of hers (that she donated), and was angry at them for doing so!